If you’re an entrepreneur operating in the technology sector, you might know that market research is an extremely imperative part of setting up a tech business. Part of the reason why is because startups have a lot to learn from companies who are already a lot more established than they are. 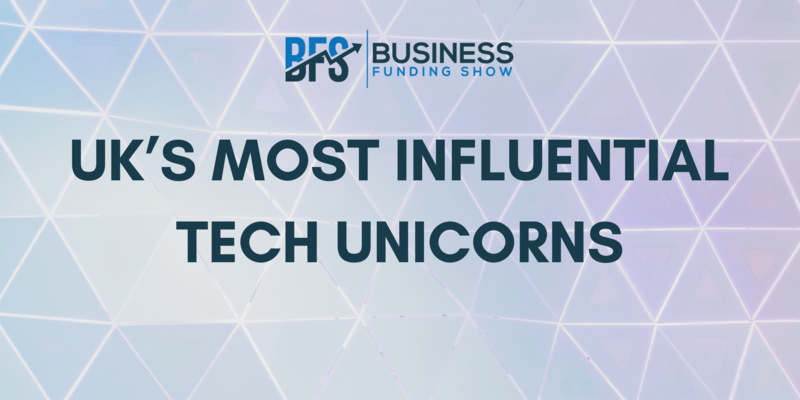 In this article we will look at a few unicorns in influential up-and-coming UK technology sectors – hopefully their innovative and pioneering business models will be an inspiration to those who would like to follow in their footsteps! So, who are the key players on the UK tech market? Research by Dealroom and Tech Nation has revealed that the UK is officially the unicorn capital of Europe, with 13 unicorn companies, who have a combined value of $23 billion. These constitute 37% of Europe’s total unicorns. It is worth mentioning here that a large part of the success of these companies is certainly down to the flourishing UK venture capital sector, as well as accessible debt markets. The Revolut App gives customers instant access to Bitcoin, Ethereum, Litecoin, Bitcoin Cash and XRP by exchanging to/from 25 fiat currencies. With free international money transfers, fee-free global spending and access to cryptocurrency exchange, Revolut is aiming to break down the borders of banking. To tackle this problem, BenevolentAI uses artificial intelligence to mine and analyse biomedical information, from clinical trials data to academic papers. This gives a huge potential for quick and efficient drug discovery, and the company is poised to disrupt the pharma industry in a big way. The Cambridge-headquartered company is seen as one of Britain’s most promising technology startups, and claims to have pioneered self-learning algorithms that mimic the way the human immune system fights viruses to protect corporate computer systems against the most sophisticated cyber-threats. Their technology is powerful enough to identify a diverse range of threats at their earliest stages – including insider attacks, latent vulnerabilities, slow-developing threats and even state-sponsored espionage. Improbable focuses on large-scale simulations in the cloud, enabling virtual worlds of unprecedented scale and complexity. SpatialOS by Improbable is a cloud platform that enables studios to design, build and manage games that go beyond the limits of a single-server architecture. Oxford Nanopore Technologies aims to disrupt the paradigm of biological analysis by making high performance, novel DNA/RNA sequencing technology that is accessible and easy to use. Their novel products are being used in more than 70 countries, for a range of biological research applications. These include large scale human genomics, cancer research, microbiology, plant science and environmental research. Nanopore sequencing is also being explored beyond research, where it has the potential to provide rapid, meaningful information in the fields of healthcare, agriculture, food and water surveillance, and education. These companies are evidence of the UK’s world-leading role in pivotal emerging sectors, and of the importance that deep-technology plays in today’s markets. Modern fields of scientific study – including AI, machine learning, big data & IoT – are changing the playing fields in key industries, and this is likely to have massive implications for society and economy alike. It also represents massive opportunity for both entrepreneurs and investors! If you are a tech entrepreneur looking for funding, check out our next event, exclusive to the tech sector! It will take place at 18:00 on the 18th of September 2018 at WeWork Aldwych. Entrepreneurs will be able to gain face time with multiple funders in a 1-to-1 format, get feedback on their business plans, and make valuable and lasting connections! Click here for more info and to book your tickets– hurry, there are only a few tickets left!